Well, I hadn’t until ten days ago. It’s a stitch used a lot in making hand-stitched lampshades and now I have finished making my first one, I can (almost) streetly stitch like a pro! 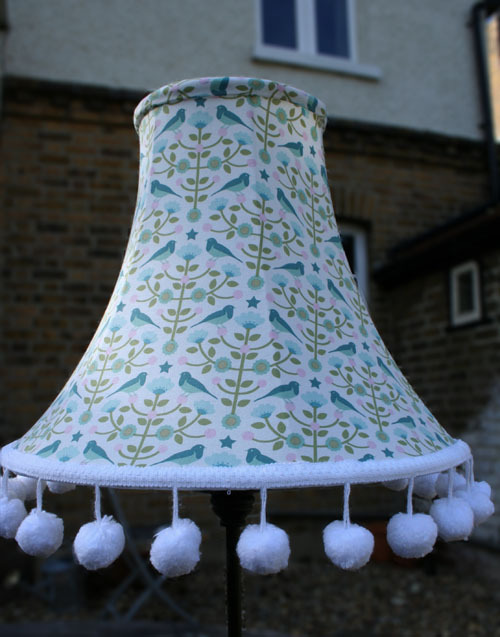 I attended the second day of the bespoke lampshade course at Homemade London on Sunday and I have only just recovered. Not because of sore fingers this time though. It was really good fun again, but also quite intense trying to finish the lampshades and not make any mistakes along the way, I was exhausted by the end of the day. Thank goodness our lovely tutor Angela, was brilliant and calm as well as extremely knowledgeable about sewing and lampshades. I have to say, I thoroughly enjoyed the experience and will treasure my handmade lampshade (must find a suitable base to go with it now). It felt like we learnt a skill that’s becoming lost in the mass production of everything and I hope I can carry it on. I already have another frame ready to make another one so that I don’t forget how it’s done, you can never have too many lampshades! Hopefully I’ll get a bit quicker this time, these lampshades definitely can’t be made in a hurry! Thanks Nicola! You’ll have to post pictures of your finished lampshade too, love to see it.